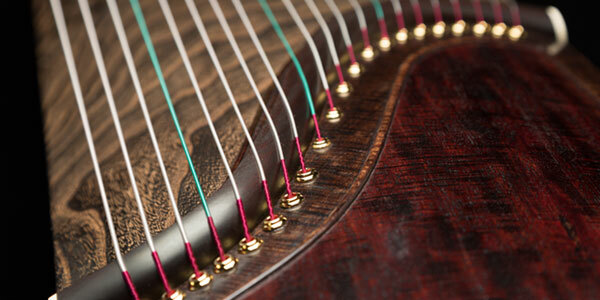 If you have any questions of concerns about the purchase, use, or repair of koto, do not hesitate to contact us. Our team of professionals will offer you a clear, intuitive explanation. If you ever need koto advice, turn to us. 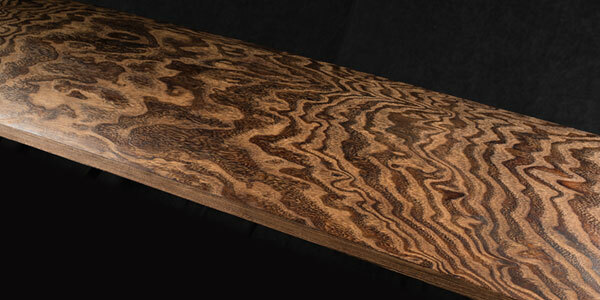 One of the koto bridges caused a ding in the surface of the instrument. 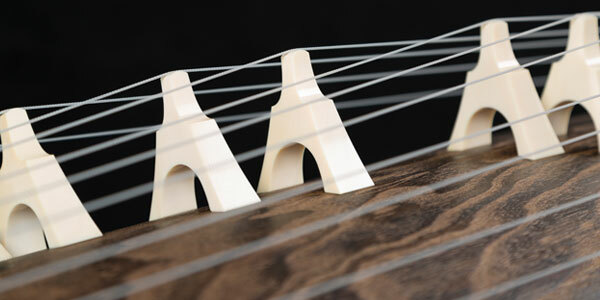 Koto are subject to considerable wear and tear over the years from simple use, as well as from the bridges scraping or indenting the surface. We treat larger dents by patching them with matching wood. The damaged wood is removed and the gap filled in. 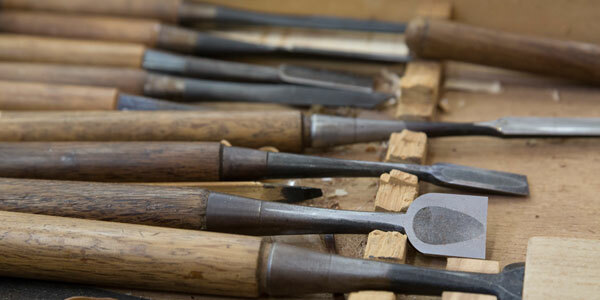 For smaller dings and nicks, we use wood putty, which consists of a mix of paulownia powder and glue. The putty is applied over the damage, heat treated, and resurfaced with a heated trowel, making the area of treatment almost invisible. I tipped my koto on its side and damaged the end. One piece of advice that applies to all koto maintenance is that, should a piece of your koto become torn or ripped, do not discard the torn piece. If you send it to us, we can use it to repair the damage to be almost invisible. There is no need for everyday maintenance of your koto. Once you finish using it, remove the bridges, place the instrument in its pouch, and store it in a room free of cold or hot air conditioning.